Donna Ross, LL.M., FCIArb, PRI is an independent lawyer, arbitrator and mediator and the principal of Donna Ross Dispute Resolution. Her specialty is ADR: she advises clients on preventive dispute resolution, drafts appropriate clauses and serves as counsel or neutral. She is an adept negotiator with excellent multi-cultural communication skills, who has successfully represented clients in numerous settlement negotiations and mediations. Ms. Ross is a nationally accredited specialist mediator (LIV, NMAS) in Australia and is on the mediator list of the Magistrate’s Court (SLEMM) as well as being accredited in New York (where she is a court-appointed neutral in the New York Court’s Commercial Division). She holds U.S. and French law degrees in corporate law and international dispute resolution and has had extensive training in arbitration, mediation and negotiation (ICC, CIArb, Harvard Program, etc.). She is admitted in Australia as well as to the New York State Bar and the Second Circuit Court of Appeals. She continues to provides legal services through The Ross Law Firm based in New York, and is a consultant to the Franco-German law firm B-Legal in U.S. and French law. 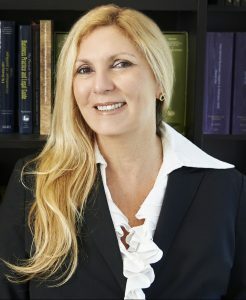 With significant experience in domestic and international commercial litigation, mediation and arbitration, her professional experience includes negotiating and drafting agreements and representing clients in disputes related to private equity investments, employment, partnership and shareholders agreements, import, distribution and agency agreements, derivative actions, malpractice, breach of contract, breach of fiduciary duty and wrongful termination, with particular expertise in franchise law, the health care sector, the wine industry and the CISG (Convention on the International Sale of Goods). Ms. Ross lived in France for many years where she worked for a boutique French firm with French, German and U.S. clients, where she drafted and reviewed pleadings in civil law cases before the lower French courts, the Cour de Cassation and the European Court of Human Rights, and drafted agreements and advised American clients on French business law. Prior to that, she was a managing partner in a language consultancy firm in Paris, for which she negotiated and drafted contracts with clients. She has assisted and advised attorneys in ICC arbitrations and international litigation and negotiations and worked with high-level business executives, legislators and officials from multinational corporations, international organizations and government agencies throughout Europe. Donna Ross is trilingual in English, French and Spanish and fluent in Italian and represents parties from civil law as well as common law jurisdictions, particularly in cross-border or cross-cultural disputes. She is a Fellow of CIArb and on its Faculty for mediation and arbitration, a lecturer at La Trobe Law School, Chairs Resolution Institute’s Victorian Arbitration Committee and sits on the National Determinative Committee is a member of ICC Australia’s ADR Committee, AFIA, and the New York State Bar Association’s Dispute Resolution and International Law and Practice Sections.